January 22, 2014 · by Zack Reyes · Post may contain affiliate links. See my disclosure policy here. 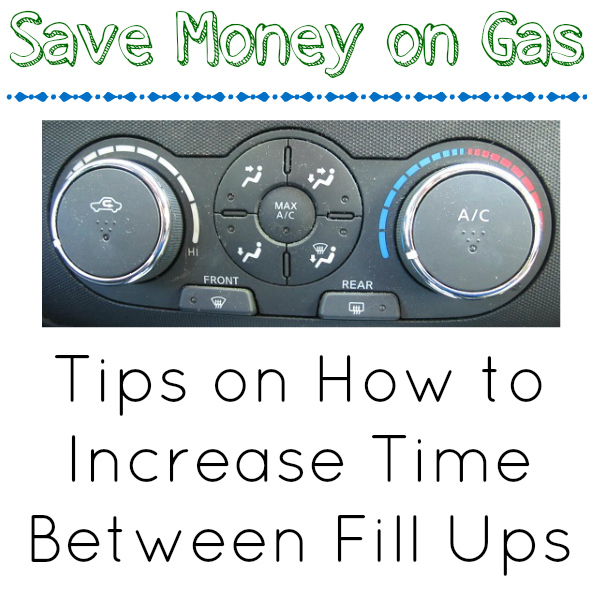 Are you looking to save money on gas and reduce your amount of fill-ups? Let's review some gas saving tips. Some of these you may have seen before but if you're like us, you could use an occasional reminder to keep you on track. There is a general belief that running the air conditioner burns up gas. Well, that is somewhat true. It does use gas. However, did you know that you could be burning more gas if you are driving with the air conditioning off and the windows down? On most cars, at around 45 mph, the drag created by having the windows down causes more gas usage than turning on the AC and shutting the windows. So when you're burning up on the road trip down the 101, put those windows up and let that baby run! Brakes - Use them less (safely of course!). If you begin coasting to a stop sooner, you'll be getting double benefits: you'll use less gas and you'll use less of your brakes. The average brake repair is $250-$400, so why not try and make that happen as less often as possible! Also have them checked frequently (with every oil change is a good reminder) because replacing brake pads is cheaper than if you wear through them and do further damage. Make sure your tires are properly inflated. If your tires are too low, it increases the friction between your tires and the road, thus decreasing your gas MPG. Also, having your tires at the proper pressure decreases your chances of having a blowout. 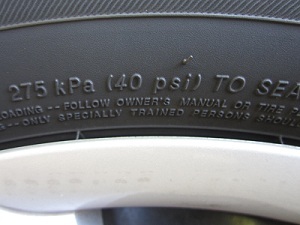 Check your tires, it should say right on them what the ideal PSI pressure should be. The difference between under-inflated tires and optimum tires is as much as 3%! Also, keeping your tires properly inflated will increase the life of the tire! Whether you realize it or not, if you are driving on the freeway for a considerably long distance, your foot is moving, causing your speed to slightly fluctuate. That can decrease your MPG. 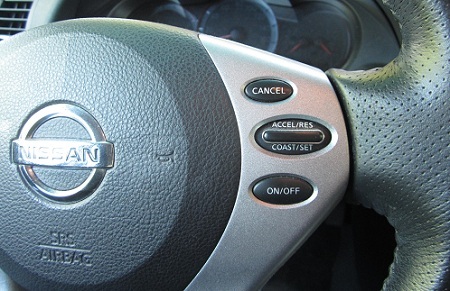 When (and if) you can, use cruise control to keep your car at a steady pace. Idling - Sitting in your car while it is running can burn up gas really quick. Do you live by train tracks? Turn off the ignition while you wait at the RR Crossing instead of just keeping your foot on the brake or putting it in park. Not comfortable turning it off and on? At least shift to neutral to save a little bit. Do you still warm up your car for a long time? A lot of people have the idea of "warming up the car" from their parents, or from back when they had a 1972 Pontiac Firebird or something. The truth is, most newer models of cars don't even need to be warmed up. Think about going into the restaurant instead of using the drive through. I know we've all been stuck in a drive through for 10 minutes or more. You might not think about (or even want to know) how much gas you're burning up while waiting for your burger! Maintenance - Keeping your car well maintained can have a major impact on your gas usage. A simple tune-up can get your engine optimized and clean your air filters. That can lead to a big change in MPG. Air flow is key to optimal gas usage, so at the very least, clean and maintain your air filters. Are you treating your car like a storage unit? 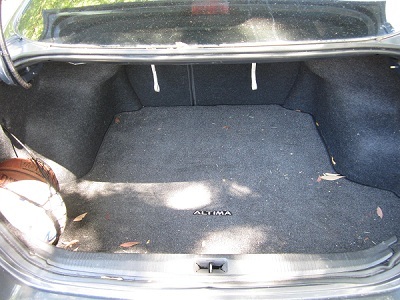 If you've got a bunch of unnecessary stuff sitting in the trunk, take it out! The less weight your car has to pull, the less gas it will use! Another note here is to wait until you're close to empty to fill up. Did you know one gallon of gas weighs around 8 pounds? 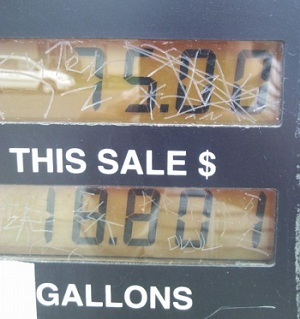 This means if you have an 18 gallon tank, the difference between full and empty is 145 pounds! That's like a person! Now obviously you can't drive around on empty all of the time, but this is just something to take into consideration. 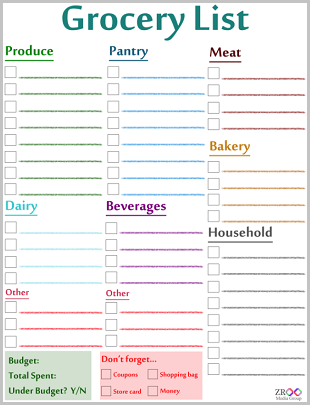 Plan Your Trips - Planning can help save on gas as well. This tip won't actually save you WHILE driving, but can help you do less of it. Plan out your day/week ahead of time. Do you need milk? Is there a grocery store right next to the bank you're already going to? Even if you know they sell milk for $1 less at Walmart, you're losing that $1 anyway if the Walmart is any more than 3 miles out of your way. You've really got to consider gas expenses as part of your coupon shopping. Is it really worth it to drive 15 miles round trip ($2.50 or more in gas) to get 1 free tube of toothpaste? It's not really even free then, because you used up $2.50 in gas getting it. So a little planning goes a long way in saving gas! So there you have it. Some of these may seem like they will make a very small difference. That is true, if you do them alone. However, even if each tip above only gives you a 2% increase, you've got more than a 15% savings on fuel usage right there! That's a significant difference and can keep a decent amount of money where it belongs - in your bank account. Thank you so much for the tips. Good stuff.